Not every tax preparer is as professional and well-educated as they should be. Since tax preparation can be so tricky, not everyone immediately knows whether or not their accountant is doing as good of a job as they should be. 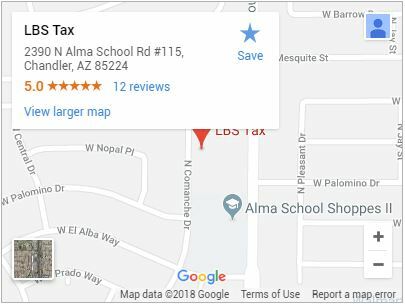 Not only will you be wasting money on a lousy tax preparer, there’s also a chance that you can be audited and possibly spend some time in jail because of their disreputable tax services. Thankfully, there are several red flags that you can look out for that will alert you that you’re being bamboozled. If your accountant or tax preparer guarantees you a big refund when you file your taxes, there’s a strong chance that you’re dealing with someone who has little to no idea about how taxes actually work. This is especially true if they tell you that you’ll get a big refund and they haven’t even seen your tax documents yet. Promising a massive refund is one of the largest and oldest scams for unscrupulous accountants. That being said, there is a way that tax preparers can give you the big refund they promised by fudging the numbers on your tax returns. While you will get a big payout, this also runs the risk of the IRS paying you a not so pleasant visit later on down the line. Before you do any kind of business with an accountant, do your homework. Check to make sure that they have the proper identification, credentials and education. Recently, the IRS started issuing Preparer Tax Identification Numbers (PTINs). Start looking for a new accountant or tax preparer if yours can’t provide you with their PTIN. That’s a good indication that they aren’t licensed and aren’t prepared to handle your taxes and your financial future. If you ever have to make your refund check out to your tax preparer or their company, there’s a chance that you might not see that refund check at all. Your refund check should be deposited directly into your bank account and nowhere else. A legitimate tax preparer will charge you a flat fee for doing your taxes instead of basing that fee on how much your total refund is. When your fee is determined by the size of your refund, that provides an incentive for the accountant to inflate your refund any way they can so that they can squeeze more money out of you. This is simply another red flag for the IRS to take note of and come after you. It’s a good idea to always check with the Better Business Bureau before you start working with a tax preparer so that you know for a fact that you’re dealing with someone with a good work history. You can also ask your family and friends if they have any recommendations to make for reputable tax preparers. None of this is to say that every accountant and tax preparer is looking to take advantage of you, just that you should always do your due diligence to make sure that you’re working with someone who’s just as good and professional as they make themselves out to be.